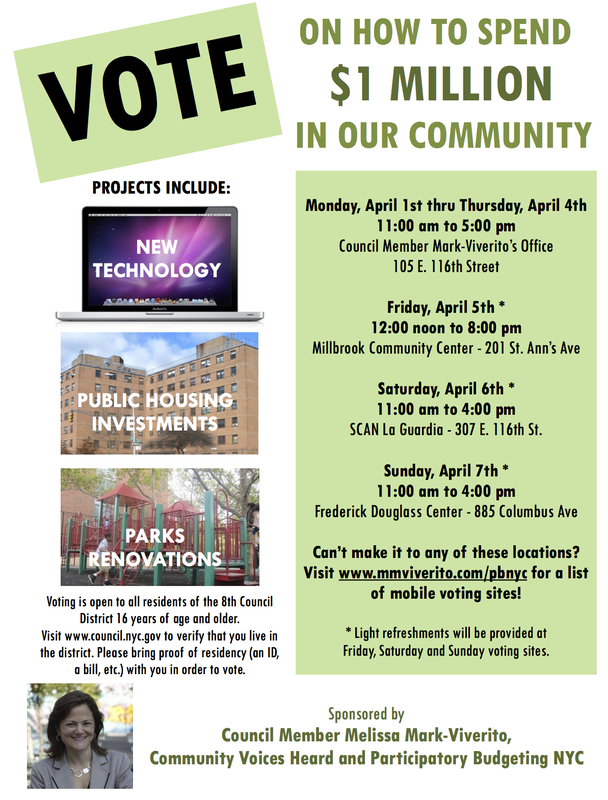 Starting Monday, April 1st, voting for Participatory Budgeting (PB) projects in our community will be open to all residents of District 8 that are 16 years of age and older. Not sure if you’re in the district? Check the map or look it up on the City Council website. You’ll need to bring at least one document proving current address and age. You can check out our PB page (mmviverito.com/pbnyc) for a list of examples of documents that will be accepted at the voting polls. 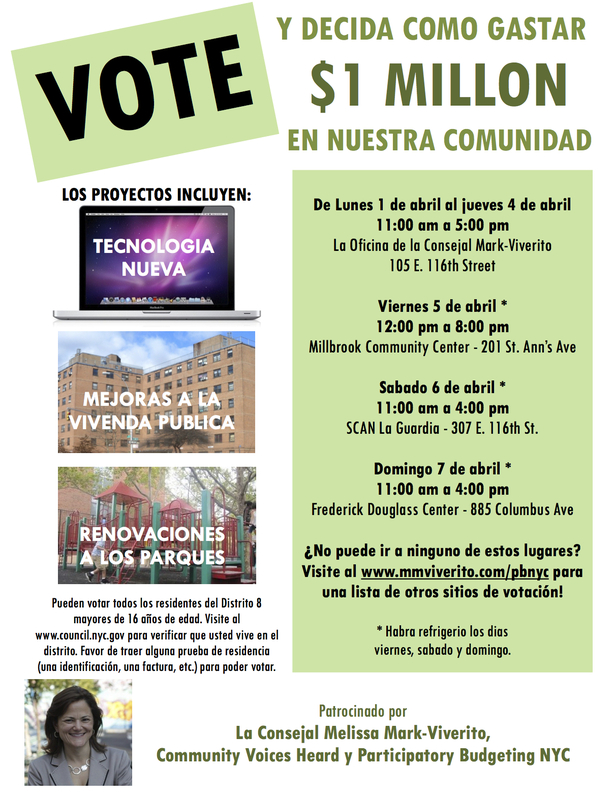 This is your chance to vote on how we should spend $1 million in our community! Can we get your commitment to vote? If we can count on your vote, please fill out this form for us. This year, mobile voting sites will be held throughout the district. We will post the dates and locations as they are announced. Keep checking back for updates.